Bank of Ghana says the last phase of the revocation of the licenses of the two distressed banks announced this morning, UT Bank and Capital Bank will be to thoroughly investigate their operations and if any of the directors is found culpable, they would be prosecuted. The Bank of Ghana announced this morning that the GCB Bank has taken over UT Bank and Capital Bank, and assured customers of the two banks that their deposits are safe. 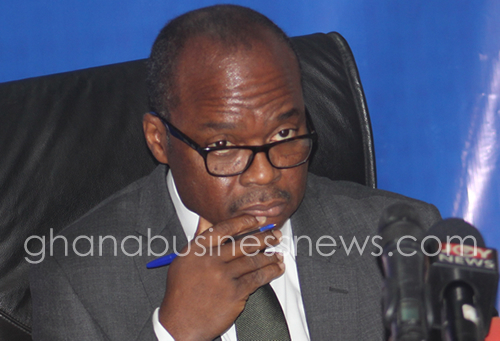 Speaking to journalists at a press conference in Accra today, Governor of the central bank, Dr, Ernest Addison said in the last phase of the process, the operations of UT Bank and Capital Bank will be thoroughly investigated, and if any of the directors or shareholders are found culpable, action will be taken against them. “The last phase is to do thorough investigations of the operations of the two banks and action will be taken against those found culpable,” he said. He said there were other bidders for the take-over but GCB Bank was selected, because it is the right bank with the right liabilities. UT Financial Services bought majority shares in troubled BPI Bank sometime in 2009 and rebranded the bank UT Bank. Capital Bank was until two years ago when it was given a banking license, Capital Plus Financial Services.